WikiLeaks has accused the Committee to Protect Journalists of a "misleading" report on an Ethiopian journalist who fled his country after appearing in unredacted embassy cables. According to the CPJ Argaw Ashine was named in the cables published in full by WikiLeaks earlier this month. The related cable was also said to refer to an unnamed government source and the now-closed Addis Neger newspaper. Ashine told the CPJ and the BBC that he was interrogated by officials after being summoned on three occasions following publication of the cables. As a result he decided to leave the country. "A citation in one of these cables can easily provide repressive governments with the perfect opportunity to persecute or punish journalists and activists. An Ethiopian government spokesman told the BBC no journalists had been interrogated. The CPJ added that it is now reviewing the most recent cables to determine whether any other journalists are cited. 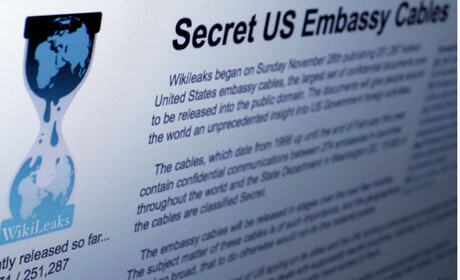 But WikiLeaks says that Ashine was not detailed by the cables as a US embassy informant. "No journalistic source is named or identified in the cable. Rather, Mr Ashine is mentioned, in passing, in relation to events in 2005 and 2006. "Neither was Mr Ashine named by the CPJ in a list of journalistic related redactions processed by us. "While it is outrageous for a journalist to feel the need to leave their country for a period, neither is it good for the CPJ to distort the facts for marketing purposes." In its statement WikiLeaks again criticises the Guardian for publication of the Cablegate decryption password by one of its journalists. The body said it is now reconsidering "how we deal with such institutions, if at all". Another press freedom group, Reporters Without Borders, announced it was suspending its WikiLeaks mirror site after the body took the decision to publish the entire cache of unredacted embassy cables.